Kingsport: How Does Your Garden Grow? 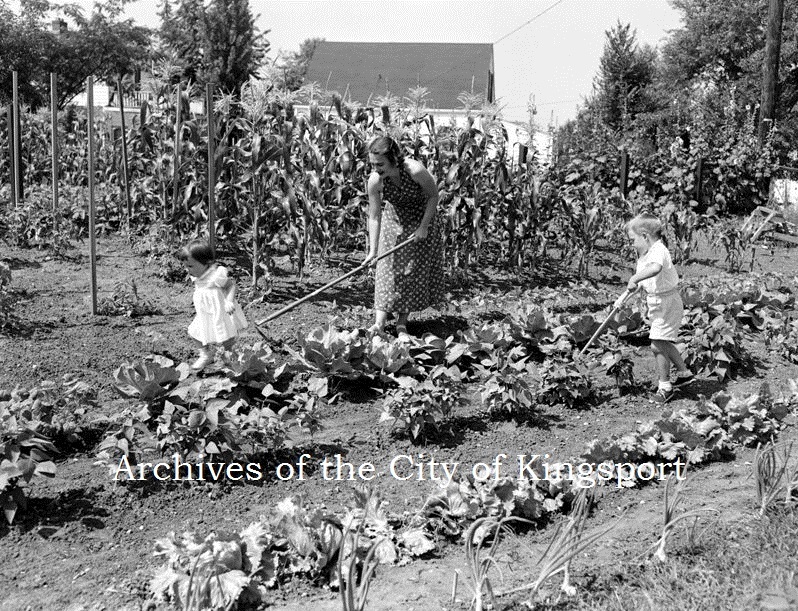 There’s a new archival exhibit at the Kingsport Public Library that showcases the many garden club collections under the Kingsport Archives’ stewardship. There are 10 unique clubs who have donated their records and scrapbooks to the archives. These collections reflect the fashions, culture, and interests of the eras they represent. Even better, they are just plain fun! The left case features items from the J Fred Johnson Family Collection, and the Ridgefields and Kingsport Garden Club Collections. Garden clubs scheduled monthly educational programs for their members, hosted annual holiday socials, and sponsored service and beautifying projects throughout the town. In the case above, you see a scrapbook page documenting the Iris Garden Club’s service project at Dickson Elementary School in 1954. The right case features scrapbook pages from the Kingsport Garden Club and the Kingsport Home Gardeners Club collections and two of my favorite Annual Flower Show programs. 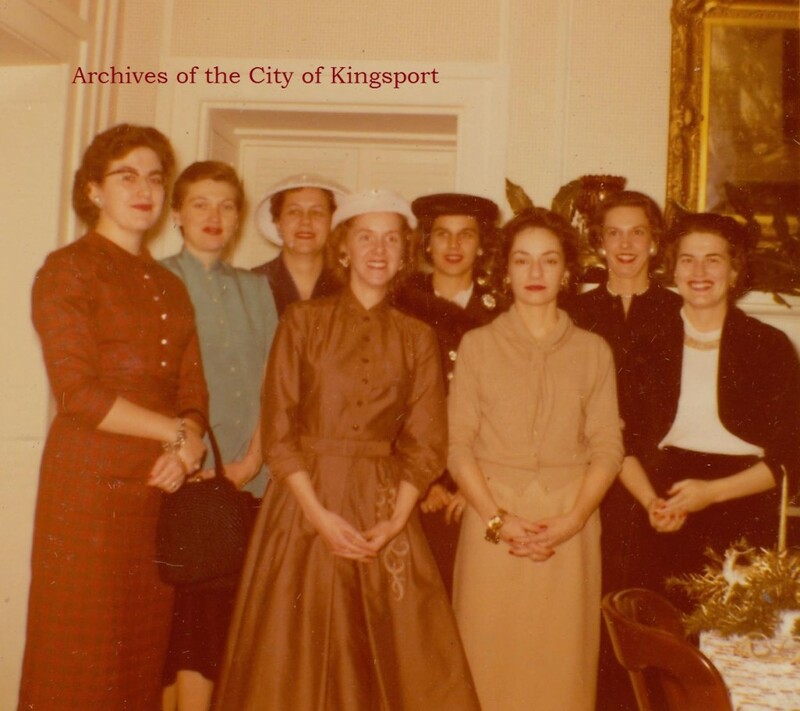 We know there were as many as 16 unique garden clubs in town in the 1960s who were members of the Kingsport Council of Garden Clubs. 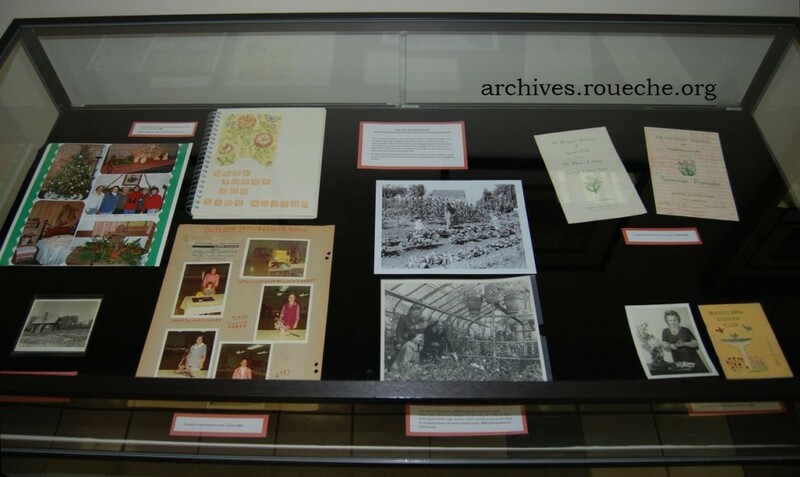 The Council’s main function was to organize an annual flower show. The flower show inspired some of the most creative women’s millinery you’ve ever seen. Members of the Ridgefields Garden Club in 1960. Ridgefields Garden Club members at Christmastime, 1957. In addition to the clubs’ snapshots, the archives has many photographs taken by newspaper photographers and commercial photographers who helped advertise the garden clubs’ meetings, activities, and shows. Several of these round out the exhibit. The Stone Family in their garden, photographed by David Peirce, 1950. The exhibit will be on display on the main floor of the Kingsport Public Library through the end of July 2016. If you have family members who gardened, you may find the Archives’ garden club collections useful in your family research. 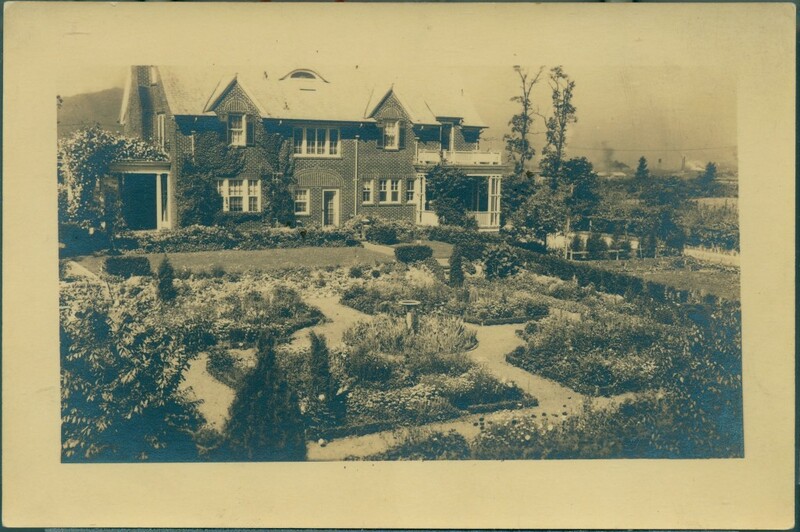 The Mead Corporate Residence, located on Watauga St., with gardens designed by Mrs. C. B. Mead, undated. 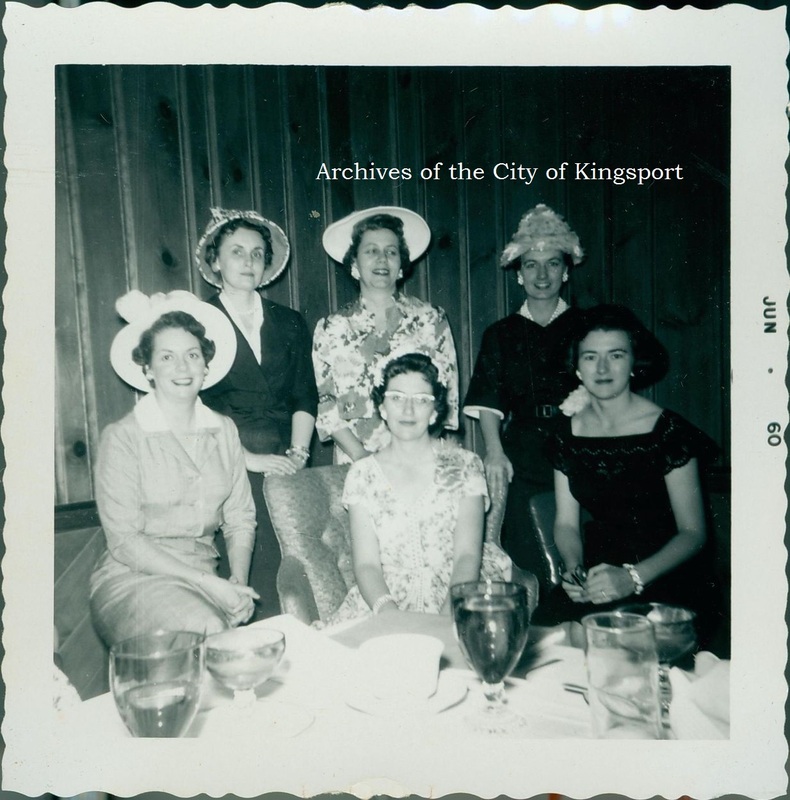 This entry was posted in Kingsport and tagged exhibit, hats, Kingsport, Women. Bookmark the permalink. One Response to Kingsport: How Does Your Garden Grow?